Jon Anderson is not one to sit idly waiting for others to act. Not when he’s got at least a thousand plates spinning simultaneously. OK, that was a not-so-clever attempt to weave in the reason why we’re meeting in a midtown Manhattan hotel to talk about his new studio album, 1000 Hands. To call it a solo album would be a disservice to the scores of guest musicians who perform on it, including, notably, Yes’ late bassist Chris Squire, as well as the band’s longtime guitarist Steve Howe and drummer Alan White, plus keyboardist Rick Wakeman and guitarist Trevor Rabin (the Yes alums with whom Anderson has been performing for several years). The singer, songwriter and musician opened up about his years with Yes, including what was often a revolving door of its lineup and of the “fear factor,” as he describes it, of doing another “Roundabout.” He also talked about the inspiration for and development of the band’s epic album, Close to the Edge, and memories of its first live performance. Anderson also discussed the group’s surprise #1 single, of hyperventilating during Yes’ induction into the Rock and Roll Hall of Fame’s Class of 2017 and his own musical inspirations. 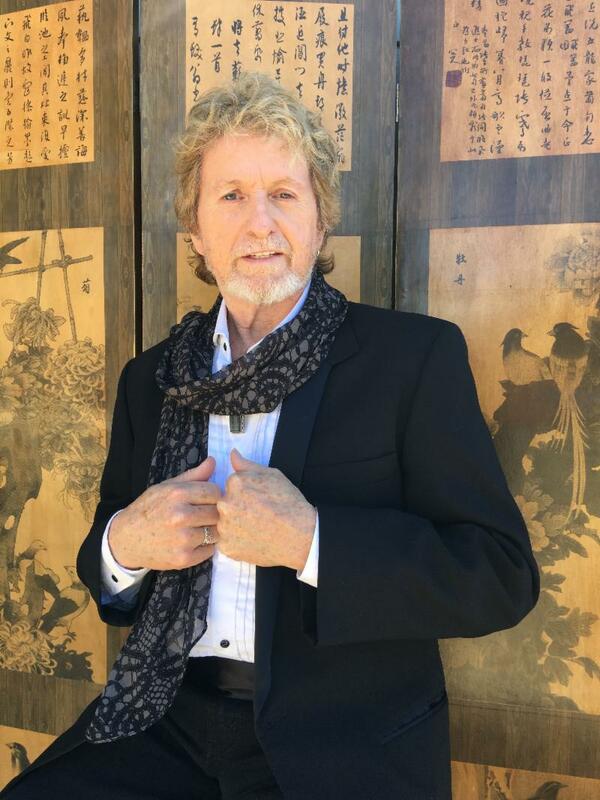 Jon Anderson: Yes, slaves to the rhythm. Slaves to the machine. It just happens. It’s very simple. You work with musicians–and I’d already been in bands for five years before I started Yes with Chris. So I knew what I was looking for. I had heard so much music at that time, from Zappa to Hendrix to the Beatles, of course. Jimmy Webb’s songwriting. I was a big fan of Randy Newman, big fan of his writing. So when me and Chris sat together for the first time ever we talked about Paul Simon’s songwriting. So when you start rehearsing, recording, you never think you’re gonna make a record. You just want to rehearse the band, get on the road and do gigs. The band had a lot of turnover. Why was that? During the course of those first couple of albums there was this sort of imbalance within the band. You spot it, you feel it. You hope it’s gonna evolve. You talk about it and stuff. And then when you know it’s not gonna work, you’ve got to change one of the guys. It’s never easy, because you thought you were just gonna get on with it. If something’s not working, it’s very simple, I think, as to why things aren’t working. It’s a logical thing so you change and you find somebody else. And that lifts you up. Instead of just being a band, you’re spending a lot of time thinking and worrying. Are you going to be able to survive? Because it’s not flowing as one. And you bring in the guitarist, Steve Howe, and all of a sudden we’re locked in [makes swoosh sound] and I’ve got somebody else to sing with and we’ve got a guy who can actually play [classical guitar like famed Spanish musician] Rodrigo. This guy can play jazz and rock and everything. So the door opens there and you go through a period of time again and all of a sudden The Yes Album happens and then you’re going on big tours and, again, you notice there’s an imbalance again throughout the tour because one of the guys isn’t quite up to scratch. And it’s just the way it is. So, at the end of that tour, I remember I was on the plane coming home and Steve and Chris came over and said, “Look, Tony Kaye… great guy.” But, you know, we’d just seen Rick Wakeman about a month earlier. And I said, “There’s that Rick Wakeman guy,” and we’ve got to get on with life and move on, you know, rather than keep going on, set in the same circle. And that’s what happens with a band. Why do you think Yes’ makeup was different from other bands of that era? But it was the right thing. Because at that time, he wasn’t happy, you know? So we got Alan White and it was like a joy to behold! This guy, who actually played with John Lennon! It’s like gods are shining light on us. And then we just got on with work and stuff. Those albums were tremendously successful. You had a hit album and a hit single. Was this Atlantic Records U.K.? Or was it [Atlantic founder] Ahmet [Ertegun]? It was management. Ahmet was always really cool about everything. Ahmet was a very strong father figure for me. 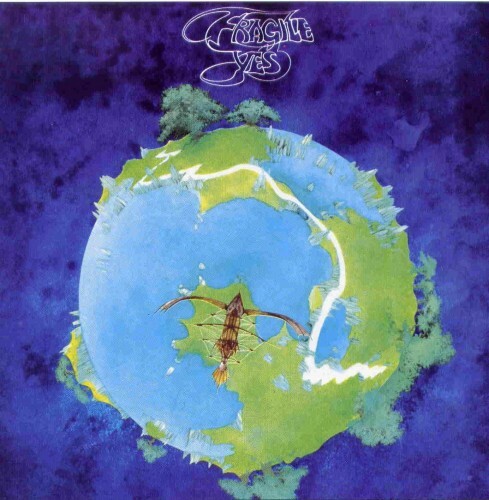 I lost my father just at the beginning of Yes starting. I had a very happy relationship with Ahmet. He understood it. How did you get inspired to write Close to the Edge? I always wonder if people who listen to my music ever got into Sibelius. Sibelius’ music is so Earth Mother. It’s so organic. It was created 100 years ago and it survives because it transcends the norm of classical music… Handel, Beethoven… Each composer had their moment. Sibelius never had his moment. I had been listening to Sibelius on tour and I had been reading Lord of the Rings. And that’s what I did. I didn’t go out after shows. I’d go back to my room, listen to Sibelius, and read. And then there was this one time, I found this cassette. I played the Sixth Symphony, a lovely pastoral piece of music, and then I played the Seventh and I was reading—I remember it very vividly—I was reading Lord of the Rings, and I said, “Wait a minute… that music just finished and I don’t remember it starting.” So I played it again. And for the life of me, I couldn’t figure out the theme. “Where’s the theme? There’s no theme.” And then I realized, wait a minute, here it is. After three minutes, the main theme’s coming through and it’s a trombone solo. And I thought, “Oh, my God!” I couldn’t believe it. How did he get to there and then back again? And then for the rest of the tour, I studied 7th Symphony and that’s why I wanted to do Close to the Edge. And I said, “No… Down at the edge, round by the river… Seasons will pass you by.” (singing) And I said, “Another chord: ‘I get up, I get down…’” And we spent all afternoon scribbling out the structure ideas. See, by then, I sort of realized that if I can be carried by 26 or 27 minutes by a piece of music—without a break, that was the thing—then we can do that. Because, why not? How did concert audiences react to it when it was new? I remember when we first performed it, it was frightening because we were opening on a show in London. It was Elton John and Mahavishnu Orchestra, and we were gonna perform it for the first time. And at that point, I don’t think it had been released. So we played it, and not only could you hear a pin drop, you could hear crickets! It felt like twice as long. The middle section… it just felt too long! And you could hear that sort of rustle in the crowd. “Come back… it’s OK!” (laughs) But that was all in my mind. (laughs) I had gotten to know Billy Cobham by then and he said, “Well, that was a monster.” And I wondered, “What does he mean?” And then we went on tour in America and within two weeks it was happening. It takes two weeks to warm it up. 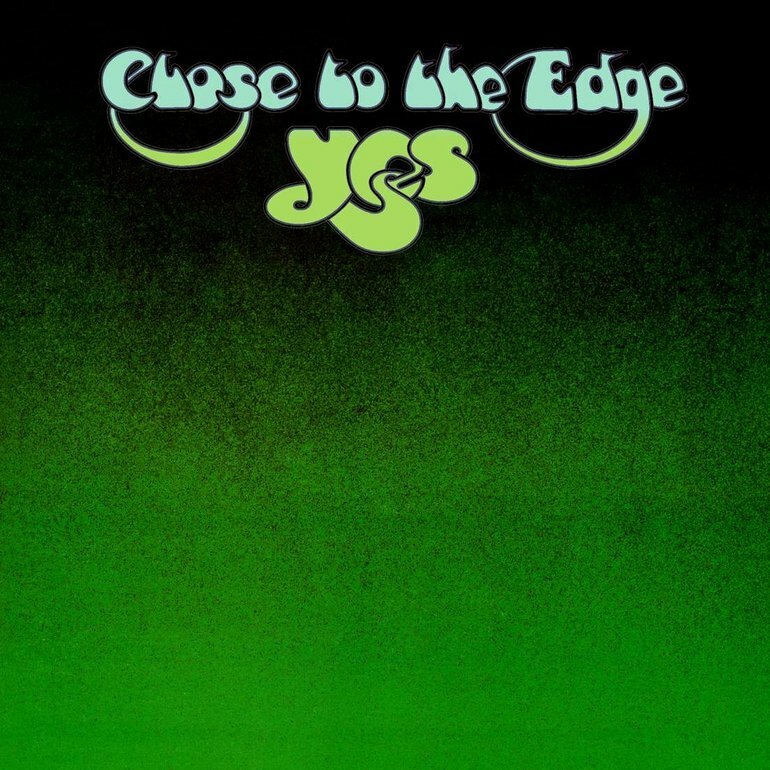 My first Yes concert was the Close to the Edge tour at Madison Square Garden. I didn’t realize until recently that was your MSG debut. Twenty-thousand people not saying… (whispers) anything. And the dry ice coming up. Ahmet came to see us. You couldn’t hear a pin drop for 20 minutes as we played that magic and I said, “Isn’t it magic?” It wasn’t a rave-up. It wasn’t a dance thing. It was just listening to music. As much as the audiences were intent on listening, we were intent on playing and performing it to the highest standard, ’cause it was—and still is—musically very challenging. You can’t just walk out and say, “Let’s do Close to the Edge.” It’s a challenging piece of music. I just re-watched your lovely acceptance speech at Yes’ Rock and Roll Hall of Fame induction. I was hyperventilating. It’s crazy to get up in front of 10,000 people. Yeah, but that’s when you know you’re coming on stage. But when you’ve been sitting there waiting to go up and thinking, “What am I going to say and what if I forget to say something?” And I got up and I couldn’t say it properly. “You’re so beautiful! You’re so beautiful!” But then obviously Rick stole the show. It was perfect. You acknowledged Little Richard, Bill Haley and Stevie Wonder. I’ve been with my wife to the Hall, it was fantastic and it was just great to see Little Richard there and Bill Haley and Stevie Wonder and now (whispers) we’re there. always interesting to hear how their ideas came together in the creation of their songs. Would love to see and hear Jon and Steve work together again. They both bring out the best musically from each other. The Whole truly is greater than the Sum of its Parts. They did “Union” back in the day, so a “Re-Union” is almost too obvious. They need to make it happen. I don’t see it. Davison is a better Jon than Anderson. It’s true the album Davison helped write is weak, but Anderson’s writing has been feeble for decades. Anderson wants to get together with them and have the big wrap up. I think they should keep going on with the current line up. Rick Waksman is a Rip. I’ve seen rehearsal outtakes with him going on and on. The other guys never seemed dazed by his jokes. I guess they were used to him. God speed to Chris Squire. And continued good fortune to the rest of Yes.